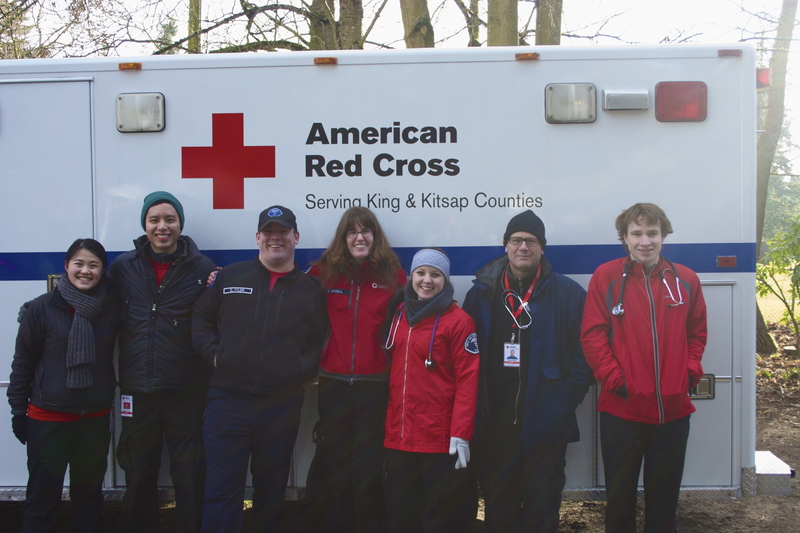 February has been a busier month than expected for the First Aid Station Team (FAST) thanks to an exciting Super Bowl win. Last week, they supported the Seahawks Super Bowl parade and the Valentine’s Day Dash 5k in Green Lake. Our FAST is committed to providing premier first aid services at festivals, races, parades and markets in the greater Seattle area. The generosity of donors and compassion of volunteers allows FAST services to remain free of charge at events. All the volunteers are qualified aid personnel with energy and drive for helping their community. From left to right: Team member Lucy Liu, team leads Will Tsang, Darby Tyler, and Ariella Angell, and team leads in training Ashley Pellicane, Thomas Bliss, and Kevin Kenney. Being asked to support the City of Seattle at the Seahawks parade speaks volumes of the caliber of the team. They did an great job providing first aid and helping keep Seahawks fans safe and warm. We couldn’t be prouder of their efforts! 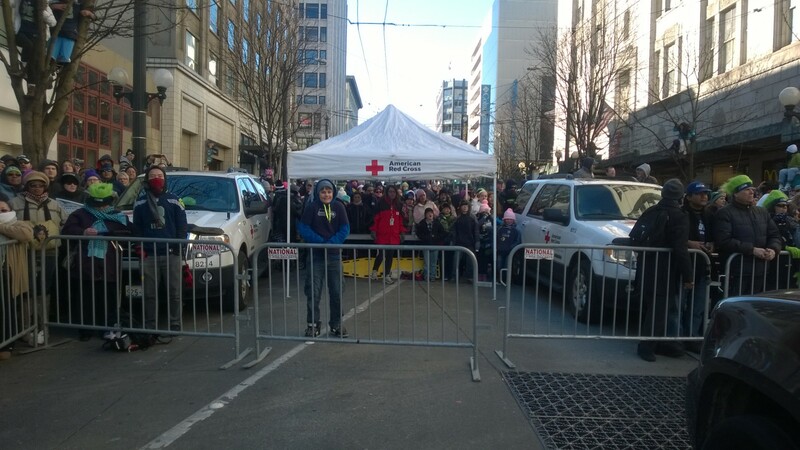 FAST provides first aid at the Seahawks Super Bowl Parade. FAST also had a great opportunity to practice their skills and continue training new team leads at the Valentine’s Day Dash. They provided free blood pressure checks for attendees and had a great time despite the cold weather! 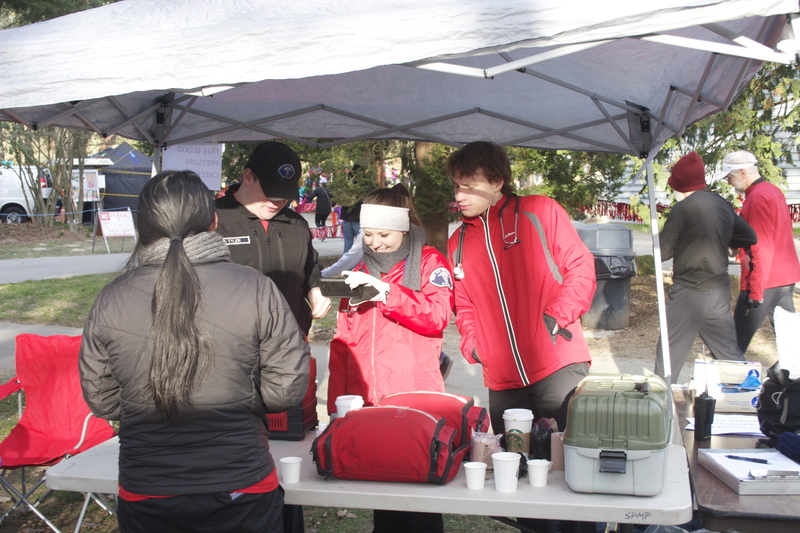 FAST members and leads laughing over a training video at the Valentine’s Day 5k at Green Lake. 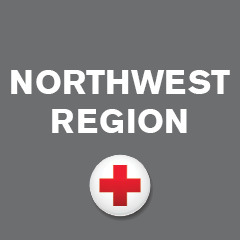 Next Help Red Cross Sell Out the ShoWare Center!